Pretty Tara has found herself in the care of RAIN after finding herself homeless in the pound. A little timid initially it doesn.. take Tara long to make friends .especially with the help of tasty treats. and once she does. she is your best friend. She came to us with sore and poorly ears which she is currently on treatment for. Sadly. this has been left untreated in her previous life. so it will likely be that she needs regular check ups. just to keep on top of it to make her feel comfortable and happy. She is a steadier lady. who is definitely a ..o with the flow..type of dog. and is content whether it be playing ball in the field. enjoying a walk or just spending quality time with one of her carers. 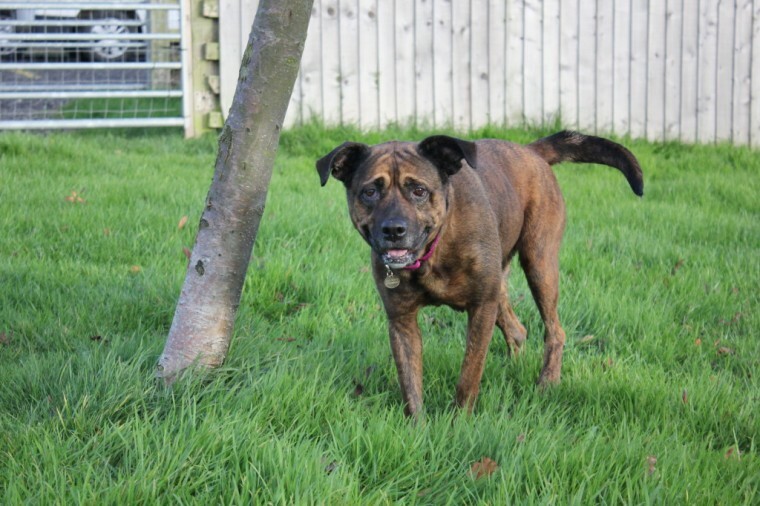 Tara has waked out well with some of the other dogs here at the centre. so a home with a canine companion may also be a possibility. This gorgeous girl will likely always be timid and a little shy and needs a quiet home. where she can have a steady routine. Tara can get upset by too much change and is seeking a life of peace. tranquility ..and plenty of TLC of course. Tara is a wonderful lady and with her good looks and endearing personality. she just needs to find that quiet home without too much hustle and bustle. SUITABLE WITH DOGS. Possibly SUITABLE WITH CATS ..No SUITABLE WITH CHILDREN. Tara is looking for a quiet home. so would be best with an adult only home. Tara has an adoption fee of 200 which includes neutering. vaccinations. microchipping. 4 weeks free insurance. collar. lead and ID tag.